I come to bury the Madras High Court judgment, not to praise it. The Madras High Court decided a landmark case involving Novartis’ famed anti- cancer drug, Glivec. Ignoring the bard’s dictum that brevity is the soul of wit, the court in a tryingly long decision held that section 3(d) of the Indian Patents Act was constitutional. It also held that it had no jurisdiction to adjudicate on the TRIPS issue i.e. whether or not section 3(d) (the section in the Indian patents act under which Novartis’ application claiming Glivec was rejected), was compliant with TRIPS. Several commentators lauded the judgment and rightly so⎯it’s conclusions cannot be faulted. However, there is much to be said for the manner in which they were arrived at. What is perhaps most surprising is that Novartis issued a statement that although it disagrees with the judgment, it will not appeal to the Supreme Court. This note points out why it is imperative for Novartis to challenge this judgment. Section 3(d) essentially states that new forms of existing chemical substances do not merit patent protection, unless they demonstrate significantly enhanced “efficacy” over the previously known substance. The Madras High court defended the constitutionality of section 3(d) by holding that the terms “enhancement of known efficacy” and “significant differences in properties with regard to efficacy” were neither vague, arbitrary nor discriminatory. Nor did the inclusion of such terms in section 3(d) without accompanying definitions amount to a delegation of an essential legislative function. Although the conclusions are correct, the reasoning leaves much to be desired. Indeed, the judgment is a convoluted morass of mutually conflicting propositions. Illustratively, the court is not clear whether section 3(d) embodies an ‘economic’ rationale or whether it encapsulates ‘social welfare’ goals or both. Paradoxically, while the court demonstrates a hands-off approach to TRIPS by claiming that it has no jurisdiction to adjudicate on it, it discusses TRIPS provisions in an effort to defend the constitutionality of section 3(d). Most surprisingly perhaps, the court denies any scope for vagueness and uncertainty in the term “enhancement of known efficacy” by claiming that Novartis, being a pharmaceutical giant, knows what this means. This proposition strikes me as puzzling⎯is the court suggesting that Novartis self certify the increase in efficacy demonstrated by its drug? In which case, do we need to waste the time of the patent office and courts over this issue? Important flashback⎯Novartis assumed that its demonstration of a 30% in bio-availability would be sufficient to procure the patent—unfortunately, the patent office didn’t think so! Had this been a case that turned purely on the esoteric nuances of patent law, one might have forgiven the court. After all, for a country that is coming to grips with pharmaceutical product patents after a long hiatus and has thus far been exposed to a mere 80 odd patent cases, one cannot expect sophisticated legal reasoning. However, for a country that is lauded for producing some of the most sophisticated constitutional law jurisprudence, this is shameful! Novartis may or may not be interested in the finer aspects of constitutional law. However, it ought to be concerned with the court’s pronouncement on the term “efficacy”. A medical dictionary definition was relied upon to hold that the term “efficacy” in section 3(d) meant “therapeutic” efficacy and therefore “what the patent applicant is expected to show is, how effective the new discovery made would be in healing a disease”. Under such a definition, the kind of derivatives that qualify for patent protection are likely to be severely limited. 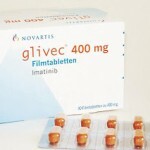 For instance, increased “bio-availability” (which is what Novartis claims in its application for Glivec) may not count as “therapeutic” efficacy. The court makes this clear by stating that an increase in the potency of the drug does not amount to an increase in efficacy. However, Novartis could easily challenge the court’s assumption that section 3(d) is limited to drugs and therefore “efficacy” ought to be construed as “therapeutic efficacy”. A plain reading of section 3(d) would make clear that the section also applies to other “chemicals” such as agro-chemicals. A pesticide or fertilizer cannot be tested for patentability on the basis of whether it enhances a “therapeutic” effect on the human body! If Novartis does not challenge this portion of the Madras High Court judgment, and if the IPAB follows this dictum (as to whether the IPAB is bound by this ruling of the Madras High Court is a moot issue), then Novartis effectively loses the case. It may as well withdraw its appeal from the IPAB! It is paradoxical that Novartis would continue to threaten to move investments to China, despite being called on their bluff—whilst at the same time desisting from fighting where it really matters. On the contrary, what the Court has said (categorically) is simply that A duty is cast upon the patent applicant of an invention in the pharmacology field to show that the invention had resulted in the enhancement of a known efficacy of that substance. Accordingly, I believe that the courts stand was not ambiguous.The purpose of making above statement was just to GIVE A GENTLE CHIDE TO THE PETITIONER, and NOT TO give the patent applicants a power to define the standard of “efficacy”. Furthermore, I DISAGREE WITH OUR assumption that ACCORODING TO THE COURT, section 3(d) is limited to drugs and therefore “efficacy” ought to be construed as “therapeutic efficacy”. PLEASE CORRECT ME IF MY UNDERSTANDING IS INCORRECT!!!!!! 1. “Bio-availability” of an existing product was improved by 30%. First, bio-availability refers to the stability of the compound in human body. 30% better means you need 30% less of an existing product. This only has dosage implication with no improvement over its success rate of treating a disease. 2. Efficacy can be interpreted as “increase in bio-availability”. With this limited definition, one can get patent on entire active ingredient of the drug. This means not only the beta crystalline form (the more stable form) gets protection but also the entire molecule. Providing wider protection for smaller discovery should be discouraged by the patent office and high court may have taken the right decision. I am curious – was the Madras HC’s findings on the definition of efficacy an issue that it was actually required to address or was it merely supposed to decide the constitutionality of 3(d)? In other words, can the meaning of “efficacy” as laid down by the HC be considered to form part of the ratio of the case or is it merely an obiter? Note my comment in the post: “as to whether the IPAB is bound by this ruling of the Madras High Court is a moot issue”. It is moot because it can be argued either way. One might argue that the courts explication of the term “efficacy” was necessary to sustain its holding that section 3(d) was not vague and was therefore constitutitionally valid. On the other hand, one may argue that the court didn’t need to define efficacy at all–rather, it might have stated that the term could be constitutional, even if left undefined by Parliament–and it was for the patent office to flesh out this definition. Your note on Novartis case made interesting reading. The Quotes in the beginning and the end were very attractive. However, I felt the need to attract your attention to a few facts. In the 1993 patent (US 5521184 or EP 0564409) it is clearly the salt (and not the base) that was tested by Novartis. This is confirmed as follows. It is clear that the Imatinib Base has never been tested before, even though the test results are discussed in the 1993 patent (US 5521184), where it is repeatedly stated that ‘base means salt’ and ‘salt means base’. It is a practice in Pharma formulations to express the dose in terms of base even when a salt is used. In the Affidavit as well as the Test Report attached, it is clearly stated that the Beta Crysalline salt is compared for efficacy with the Imatinib base (and not with the Alpha Crystalline Salt). It is further stated in the Test Report produced and filed by Novartis that the results (30% increased efficacy) of salt over base is anticipated as the salt is highly soluble and the base is nearly insoluble. “It is suggested to be due to the higher solubility of the salt”. “Efficacy” is discussed in Medical, lighting (efficacy of source of light) and Amplifiers etc. http://www.yourdictionary.com defines “Efficacy” as “power to produce effects or intended results”. Personally, I consider “Efficacy” as a pre-requisite for a chemical or biological entity or moiety to be claimed to have utility or usefulness in a medical or similar application. I felt that your latest thoughts on the subject needed these few factual clarifications. Great points, but I think you’ve missed the message in my post. My post is not on the merits of whether Novartis will get the patent–in fact, I personally think the application will be rejected on both section 3(d)–but more importantly, on plain “non obviousness” principles. I have explained my reasons in previous posts. You can click on the label “Novartis patent litigation” to read these previous posts. The point of this post was fairly simple. If Novartis does not challenge the courts definition of “efficacy”, it effectively loses the case. In other words, there is no point in Novartis fighting the case at the IPAB, if it does not challenge the construction of the term “efficacy” by the court. As to whether “bio-availability” amounts to efficacy is a moot issue and this is what needs to be thoroughly fought out at the IPAB and the courts. It’s not a cut and dry issue and certainly not one that is automatically evident from section 3(d)–not least because section 3(d) applies to agro-chemicals. 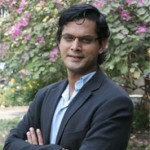 I personally don’t think we should limit it to therapeutic efficacy–as this will block a number of important incremental inventions –eg Ranbaxy’s one a day CIPRO that was a clear improvement over existing CIPRO sold by Bayer-in fact, this incremental invention was succesfully licensed to Bayer by Ranbaxy. Remember that this term is not used in any other patent regime in the world. Remember also that this is a drug regulatory term!! Answering a constitutional challenge to such a term by stasting that the challengee knows what it means seems downright stupid to me. the desired therapeutic effect” and “efficacy” is independent of potency of the drug. The US courts have interpreted “non-obvious” principle in a very liberal way and validated almost all patents. I do not know much of pharma field but the software field is full of “obvious” patents. In light of these things, I personally do not believe that Judges can well evaluate the “non-obvious” principle. Therefore, I actually like a more materialistic evaluation of a patent in terms of “efficacy” improvement. As you point out, this is also vague and it needs to go through the courts for wider understanding. But I think this is what courts can do better. advocate for a tiered patent system rather than a flat one. I have one more concern on patent granting. Only people in specific fields can get patent protection. For example, algorithms and softwares cannot be patented in India. Therefore, granting “easy” patents (or monopolies) in other fields is not fair to other people whose work cannot be patented. Software people have to pay hefty sum to pharma companies but have to sell their own work for cheap because they cannot patent their own invention. Allowing everyone to patent is also a dangerous situation. Not entirely true. I’m not sure if you’ve been following recent trends in the US. The recent KSR decision and some CAFC decisions such as the one dealing with Norvasc demonstrate that the US courts are tightening up their interpretation of non obviousness to permit only meritorious patents. In fact, you should read the Norvasc case–and you will see that the Non Obviousness principle can be applied in a reasonably definitive manner to help us weed out bad patents. Software patents are a different issue altogether and ought not to be conflated with pharma patents. I personally don’t think patents are necessary in software to incentivise innovation –so I would knock it off right at the patent -eligibility stage itself. As you will appreciate, the same cannot be said for pharma–which involves huge investments–and even patent skeptics would agree that this is one area where patents may incentivise innovation–though one is not certain of the exact extent. You completely misunderstood my point. the point urged by me is that if we interpret efficacy narrowly–then inventions like CIFRAN-OD by Ranbaxy get left out–this is a valuable NDDS. In short, what are the kind of inventions we want to incentivise? If we want to incentivise stuff like CIFRAN, we can’t limit the defn of efficacy to “therapeutic efficacy”. I think you make a great point in terms of advocating for a more nuanced system that would provide for differential levels of protection. And indeed, some countries provide for “utility models” to do this sort of lesser protection. the only drawback is: to what extent do we differentiate. Do we follow your model for every area of innovation? As you can appreciate, sometimes we have broad thumb rules–only so that we avoid the administrative costs that come up with administering a scheme built on excessive differentiation. I was thinking that they can get protection on Imatinab free base if they file the patent for the corresponding salt. There is a practice in US to increase the patent life by filing marginal changes to the base molecule and I think it is called evergreening of patents. Looks like they were not having the patent on the free base in India. So actually they cannot get patent on it. So I am wrong on that. Again I think “non-obvious” requirement of a patent is a vague thing which can swing either side depending on the judge/bench. I only know of software patents and the courts consider almost any combination of technology or an application of a general technique to be non-obvious. I think this cannot be left to a judge and it should be redefined with more objective measures for different kind of patents. “Efficacy” improvement is a far better measure than “non-obviousness”. On the Ranbaxy issue, you seem to suggest that CIFRAN-OD patent requires incentive in the form of 20 yr protection. I do not know how difficult it is to make these compounds and cannot comment on it. I am assuming that once you know a molecule that attaches to a foreign body, it is relatively easy to construct more stable or oral dosage of the compound. If this is so, then there is sufficient incentive to reach the market and capture the market quicker than to rely on patents. I would like to know if you think capturing market with an oral drug or less dosage requirement is not sufficient incentive for a new form of a drug and if it additionally requires patent protection.